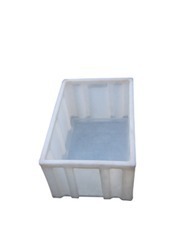 We, KEDARNATH PLASTICS PRIVATE LIMITED, are one of the emerging players in the field of Rotational Moulding with an emphasis on providing durable and high quality rotomoulded plastic products. Our product range encompasses of Insulated Ice Boxes, Pallets, Material Handling Crates and various other specialized custom mouldings. Rotomoulding or rotational molding is a very advanced and ground-breaking technology in plastic molding, which has received worldwide recognition and appreciation. Today, Rotomoulding has grown a lot and has become one of the fastest developing sectors of polymer. Rotomoulding, being extremely versatile, enables one to handle a mammoth variety of shapes and sizes which are large in volume and require sturdiness.